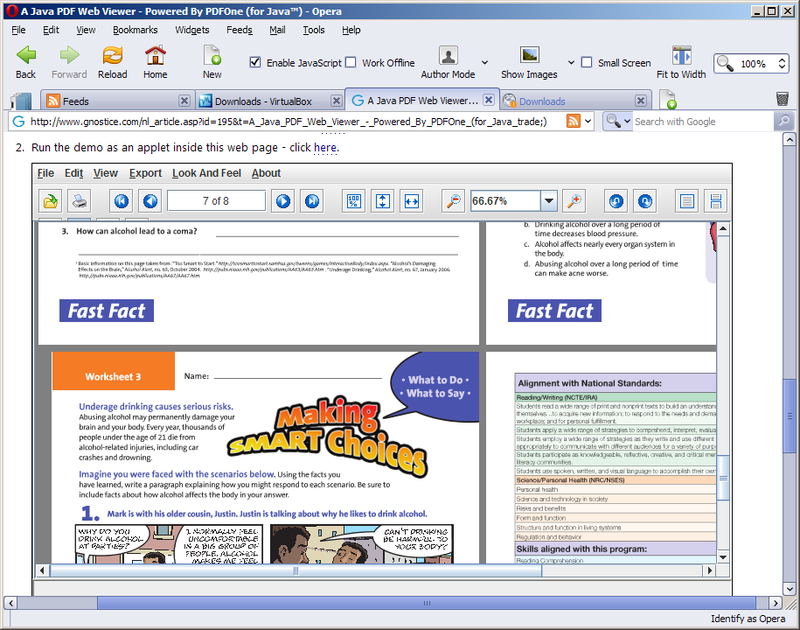 Showcasing an online PDF web viewer built using Gnostice PDFOne, our PDF component suite for Java™ developers. Java's Write Once, Run Anywhere moto allows Java applications to run on a variety of platforms. This allows Java applications to be downloaded from a website and run inside a browser. Inside a browser though, Java runs under a lot of restrictions. To give more freedom for Java applications to access system resources, you can bundle them as JNLP (Java Network Launching Protocol) clients using the Java Web Start framework. 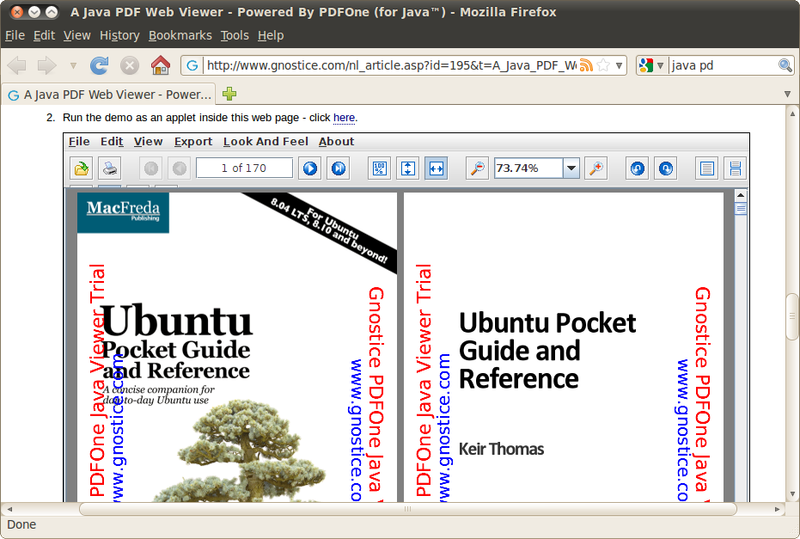 In this article, we present you an online Java PDF viewer built by Gnostice DevTools Team member L. Santhanam using our PDFOne (for Java ™) library. Download and run the demo outside this browser - click here. Run the demo as an applet inside this web page - click here. To run the first demo, download it and run it from your computer using Java Web Start Launcher. You may find it with the pathname C:\Program Files\Java\jre6\bin\javaws.exe. The second demo will run directly within this web page. When the Java application loads, Java will show a certificate prompt. Simply click the Run button on the prompt. 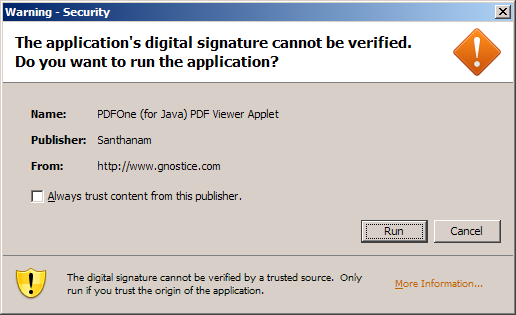 Do not add the signature to your computer, as Santhanam had used only a demo certificate to sign the JAR files. Both demos show trial marks. 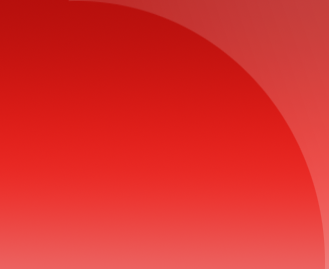 For Linux Users: Linux distributions now use the open source IcedTea Java runtime rather than HotSpot runtime from Sun. IcedTea is usually enough for most Linux users. However, there are some PDFOne components work best with HotSpot (Sun JRE) rather than IcedTea. As a result, these demos require Sun JRE. You can find installation steps for Sun JRE in Linux in another article. After following those steps, you need to ensure your browser uses the plugin from that JRE. If you are using Firefox in Linux, you need to create a symbolic link for the Linux Java plugin file in the Firefox plugins folder. On my Ubuntu Linux (Lucid Lynx) system, I searched for the Firefox plugins folder. I found it at /usr/lib/firefox-3.6.3/plugins. I found the Sun Java plugin for Linux libnpjp2.so at /usr/java/jre1.6.0_20/lib/i386. There was a javaplugin-oji.so in another location. However, Sun says that this other file is a classic plugin and should not be used. Finally, I created the symbolic link using the following commands in Terminal. sudo ln -s /usr/java/jre1.6.0_20/lib/i386/libnpjp2.so  . You can check your plugin installation by typing about:plugins in the Firefox address box.